I was so happy to find this card showing 2 sweet African American Children by the Sea! It’s quite difficult to find images showing people of color in a realistic manner. Most of what I see when I’m out and about, is just plain hurtful. So this one was a rare and pleasant find! 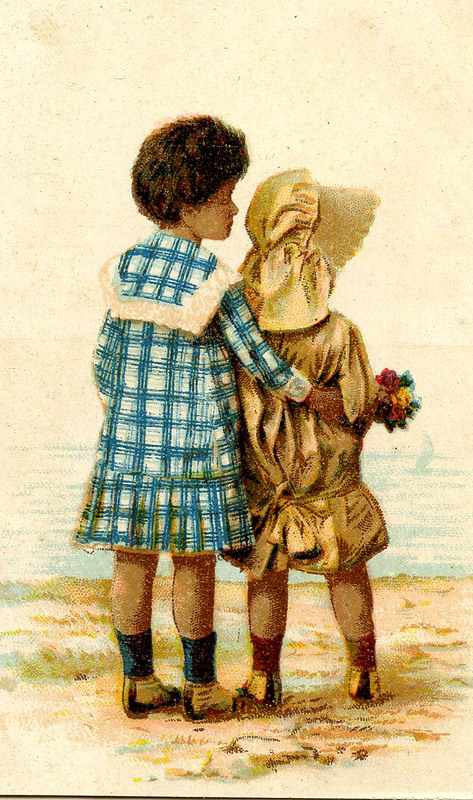 Two darling girls enjoying a day at the Beach, one is wearing a Sunbonnet! So cute! « Retro Halloween Graphic – Pretty Witch! That is a sweet image Karen, thank you! Very sweet….and very rare! Thanks Karen. Thanks everyone! Angie, that Steampunk Cat is too cute!! Thank you, so much! Many blessings! I’m off to create! 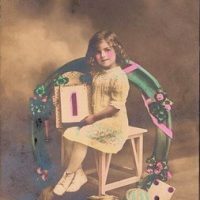 I have not ever seen any that are vintage without the racial discrimination. That is a wonderful find indeed, Karen. Thanks for posting it. So lovely and warm. Very much appreciated so adorable!